Saturn conjunct Neptune is a major planetary aspect occurring every 36.4 years. Older folks born between September 1952 and October 1953 have this difficult to master aspect. And so do younger folks born between December 1988 and January 1990. The next conjunction in 2026. Saturn conjunct Neptune natal can make life very difficult if you lacked a stable and supportive home life when you were growing up. Learning self-confidence and self belief is critical to avoiding the fear and disappointment associated with this aspect. Hard work is needed to gain the education and skills to succeed in life. Furthermore, honesty and respect will make sure you reach your full potential. If you do these things, you really can make your dreams come true. You really must work very hard if your parents were weak, unreliable or a negative influence. Because even with a “normal” childhood you will likely struggle with fear, insecurity, negativity, loss and disappointment. Just as positive thinking can make your dreams come with this aspect, negative thinking can make your nightmares come true. Therefore it is very important that you do all you can to improve your self-esteem. If you cannot help yourself then seek medical help, especially if you suffer anxiety or depression. If you do not think highly of yourself then other people will not treat you well. You may feel sorry for others and try to save them. But this is not healthy and leaves you susceptible to abuse. In contrast, you may play the role of victim to force someone to look after you. Neither option is healthy and can spiral in a series of codependent relationships, insecurity and guilt. Escapism through drugs, fantasy, gambling, sexual affairs, conspiracy theories or cults could stunt your development or worse. You may be susceptible to deception, fraud and other unethical treatment. The best way to avoid such things is to be strictly moral and ethical in your behavior. Otherwise legal action, scandal and loss could damage your relationships, reputation and career. The artist Georges Braque (0°06′) said “Truth exists, only falsehood has to be invented.” You will only gain confidence and self-respect when you face reality and stop deceiving yourself and others. Only then will you truly believe in yourself and be able to trust others people. Then you will stop worrying about the future and trust that everything will be okay. Because you will make it okay. Imagine a positive future and it will manifest. You can be self-sacrificing in a healthy way. You could potentially live with very little material comfort. Possessions are not that important to you and you are willing to sacrifice personal needs for your beliefs and to help other people. But first you must learn and practice and perfect the skills you need to succeed. You cannot help others until you help yourself. “Dream Big, Work Hard” (J. J. Watt 0°52′). Saturn conjunct Neptune transit is generally associated with insecurity, confusion, self-doubt and guilt. This can be a depressing time but it does not have to be. If you are secure in own limitations and have been responsible, honest and fair in your dealings, this can actually be a satisfying time of life. Your dreams and hopes may begin to materialize and you can find true spiritual contentment without relying on material needs. However, if you feel guilty about not doing the right thing by others, or you have not been working hard and meeting your responsibilities. This can be a time of fear and uncertainty. The karmic repercussions of being mean, lazy, disrespectful or cruel will now catch up with you in the form of self loathing, nightmares, loss and disappointment. What you thought were safe and secure relationships, possessions, employment or general structures and patterns in your life may dissolve away leaving you feeling anxious and depressed. In its higher manifestation, this transit allows you to make sacrifices and do without something to do good. You can help others or reach a particular goal. In the lower manifestation, sacrifice would be forced upon you to teach you a lesson about responsibility. Whatever the case, this is a serious phase of life and you will have a tendency to see the worst and not the best in everything. Pessimism can get out of control and you should do your best to avoid this. Negativity really must be avoided because Saturn can materialize Neptune illusions or delusions. It is important to look after your health and now is a good time for a general check up with your doctor. Georges Braque 0°06′, David Gest 0°12′, Tyga 0°24′, David Berkowitz 0°24′, Lucy Hale 0°25′, Tony Blair 0°26′, Buddy Rose 0°28′, Peaches Geldof 0°31′, John Edwards 0°32′, Cyndi Lauper 0°34′, Alden Ehrenreich 0°37′, Elizabeth Olsen 0°50′, Hulk Hogan 0°54′, J. J. Watt 0°52′, Riley Keough 1°00′, Kathy Lee Gifford 1°12′, Roseanne 1°23′, Chris Brown 1°32′, King Charles II of England 1°35′, Stephen Paddock 1°42′, Malcolm Young 2°44′, Johanna Kinkel 2°57′. Quick question if you have time? I met someone born 11 days before me same year. 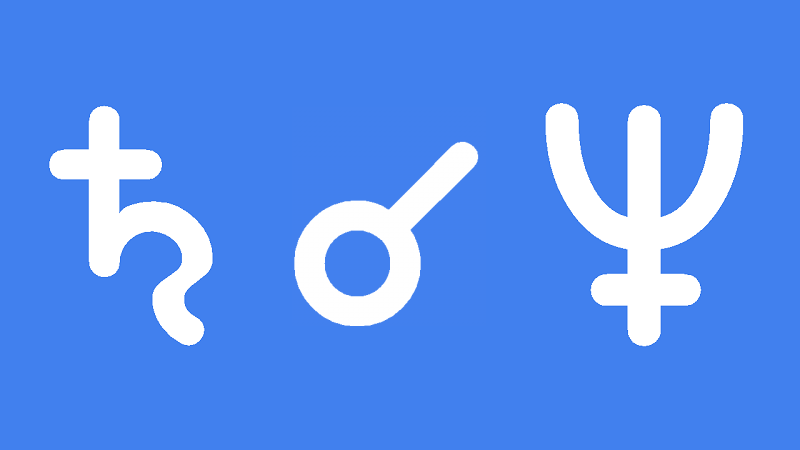 All of our planets are in the same house and sign except the moon and Ascendant. We both have Sun Saturn conjunction in our birth charts so the conjunction is also a conjunction. Would this be a good or bad matchup. This actually happened to me. The guy was 10 days older than me and born on the Saturn/Neptune conjunction in Libra 1953. We had a whirl of a time; then I realized he couldn’t put me first because of obligations to his son. He thought i was arrogant, probably because my mars in leo was conjunction his sun. he needed a woman to follow him and i need a man to respect my mind and grow with me–did the “following” bit twice, once lasting 2+ decades because of lack of confidence, self-esteem. So, tread carefully.